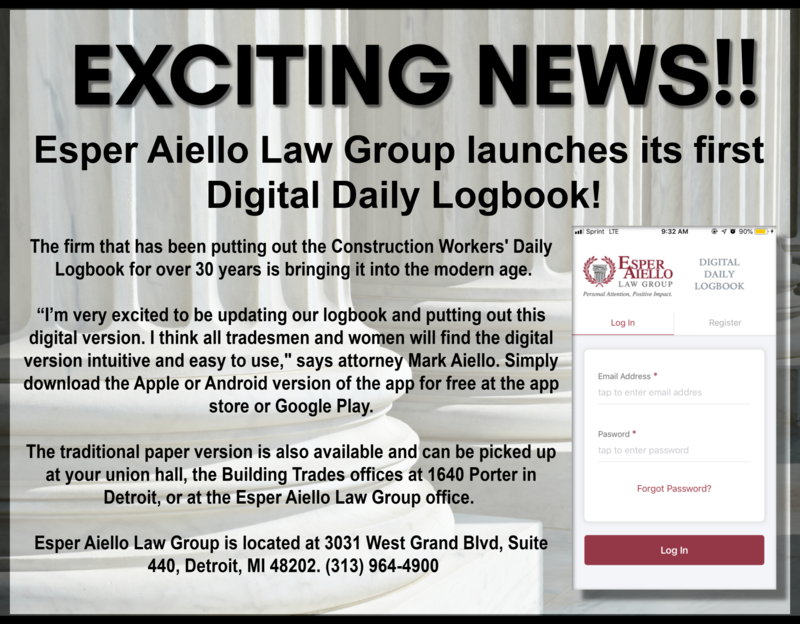 Esper Aiello Daily Logbook is the first ever app of its kind, devoted entirely to assisting men and women employed in the construction/trades industry, and it’s available now! Esper Aiello Law Group’s never-before-seen digital daily logbook app allows for the seamless organization and storage of crucial worksite information via a simple and straightforward calendar format, effectively safeguarding your information for future use/reference. Once signed up, users are able to quickly record an assortment of daily work details from anywhere at anytime, including employer names, steward names and contact, foreman names and contact, job site information, job duties, regular and OT hours, mileage, expenses, injury reports, and other miscellaneous notes. The Esper Aiello Daily Logbook is an app developed by the insightful minds at Esper Aiello Law Group for the sole purpose of enabling the successful collection and secured storage of valued job information. The comprehensive construction logbook will allow each user to maintain a unique password-protected account for accessing their stored information, and features an easy-to-follow menu to allow users to rapidly navigate the apps modest, yet modern, interface. Once data has been collected, users will be able to access and edit information at will, as well as generate detailed reports, by date, compiling specified log information for appropriate retention and/or distribution to construction workers. “I’m very excited to be updating our logbook and putting out this digital version. I think tradesmen and women will find the digital version intuitive and easy to use,” said Mark Aiello. Esper Aiello Daily Logbook is currently live and available for free download on both the Apple App Store and Google Play Store. Applicable users are encouraged to download and begin registering a personal account through the app today. 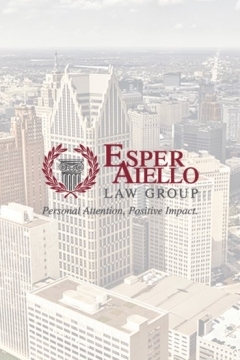 Additional information on precisely how this app can significantly improve the ease and efficiency of any job site’s data retention can be obtained by contacting Esper Aiello Law Group directly through their official website at esperaiellolawgroup.com/contact, or by telephone at 313.964.4900 . Esper Aiello Law Group is a highly-respected law firm, specializing in the effectual acquisition of workers compensation benefits. Its seasoned attorneys offer more than 150 collective years of experience, providing invaluable legal services and personal support to deserving clients throughout the greater Metro Detroit area.